Senior Action Centers are a focal point of the community. Senior Centers offer people 55 years of age and older an opportunity to meet and make new friends. 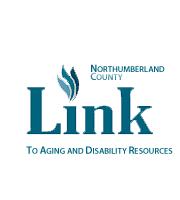 Northumberland County AAA supports Senior Action Centers located in various municipalities throughout the county. Hours for Centers are 8:00 a.m. to 4:00 p.m., Monday through Friday. Transportation is available to and from the centers. Volunteers help support daily activities at the centers. Volunteers are always welcome.